Two weeks ago today, Sweetheart and I got married. I’ve been feeling like one of those old fashioned towers of champagne glasses, where the top one bubbles up, full to its very brim with joy to the overflowing and then it’s a giddy cascade of beauty and glittery light all the way to the bottom. And repeat. I’ve thrown parties before and I know what a great party feels like and our wedding was a. great. party. But I couldn’t have ever known how the wedding part of it would make me feel because holy moly who could ever know? How to even begin to describe it? As a lover of words I’ve been searching for both a way to put into language this giant feeling, this overcoming overflowing, this electric joy and abundant love that at once floats our little boat and also eddies around us like a current…but I also kind of don’t want to put it into words. Like: I don’t want to name it or to look directly at it, it’s too bright or maybe it might be too fleeting…it is at once a giant thing of celestial proportions and also something small and private like a delicate clockwork. Something to shout? Something to hold dear above all else like a fluttering bird against your beating heart? Something to whisper oh-so-quietly about in the half-dark with the leaves finally coming down against the tin roof? All of the above? Fortunately for me, since I can’t even really begin to explain it in words, my dear sweet cousin Charlotte (who is a brilliant filmmaker in addition to being an excellent human, lucky me) shot the day on film with an old super 8 camera. She made this movie for us (with help from her own sweetheart, Jesse), and it says absolutely everything I can’t even begin to speak. It is perfect. You watch it, and I’m going to go and let my heart explode. Again. 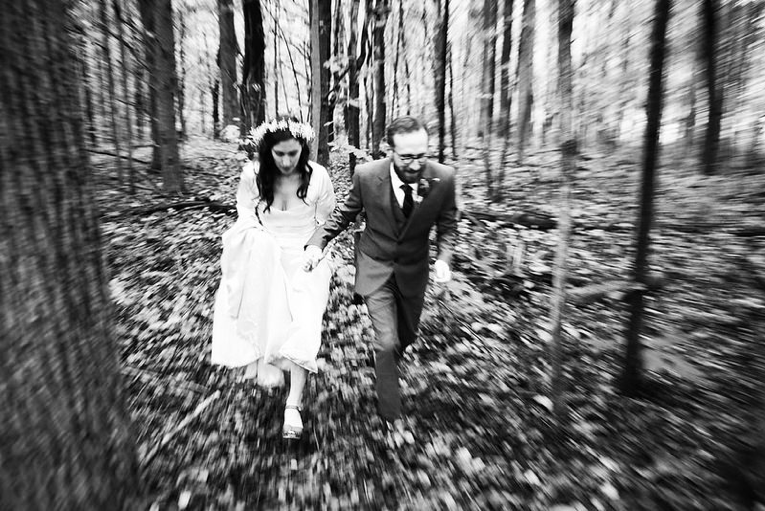 SUSANNAH & ANDREW from Charlotte Hornsby on Vimeo. First picture taken by the incredibly talented and dear Kate Reeder who has an eye like an eagle and a heart like a unicorn. More to come.